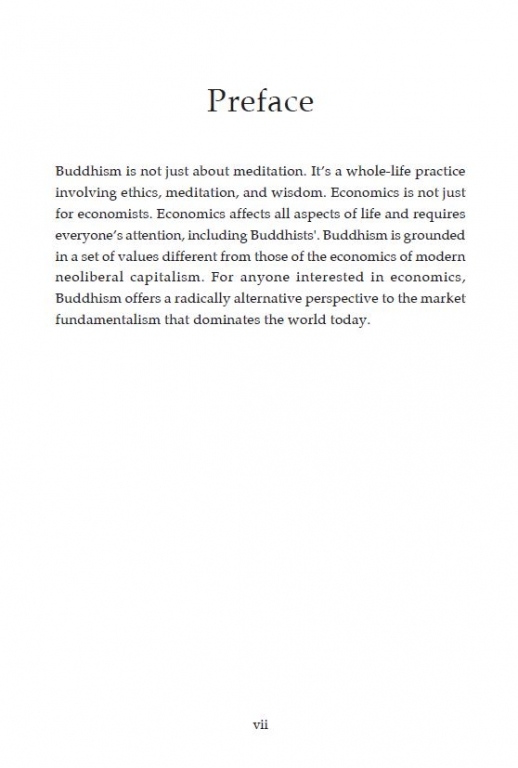 A passionate examination of Buddhism’s engagement with the capitalist world. 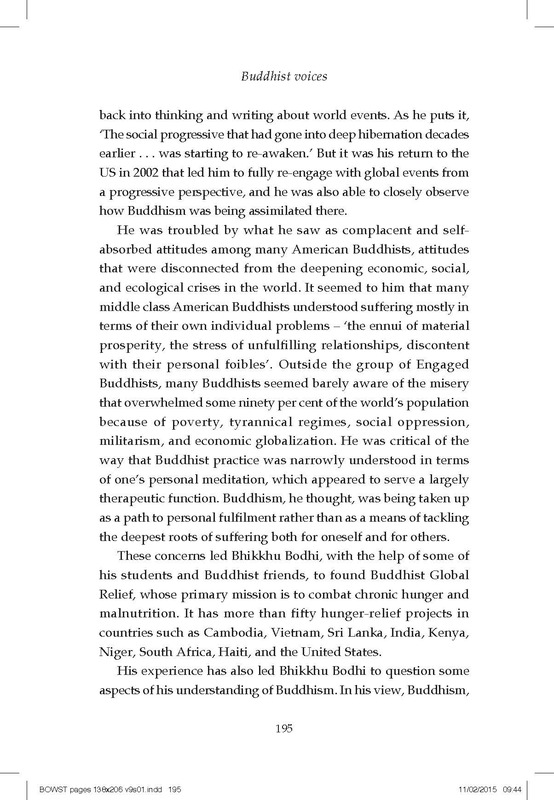 After his Enlightenment the Buddha set out to help liberate the individual, and create a society free from suffering. The economic resources now exist to offer a realistic possibility of providing everyone with decent food, shelter, work and leisure, to allow each of us to fulfil our potential as human beings, whilst protecting the environment. 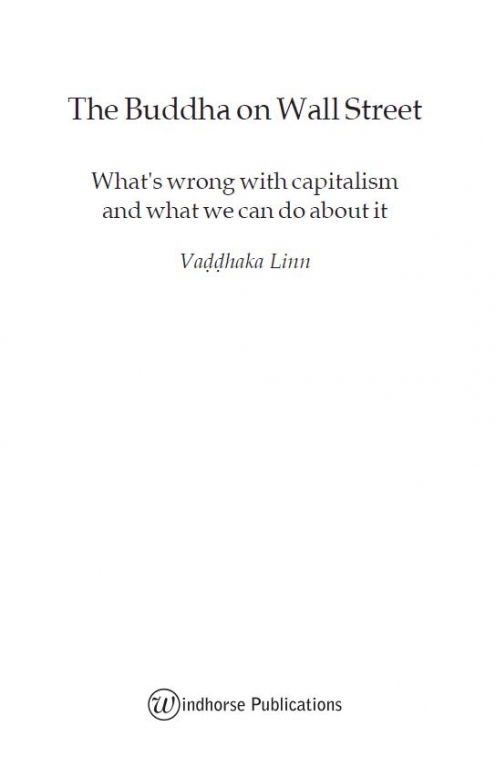 What is it in the nature of modern capitalism which prevents that happening? 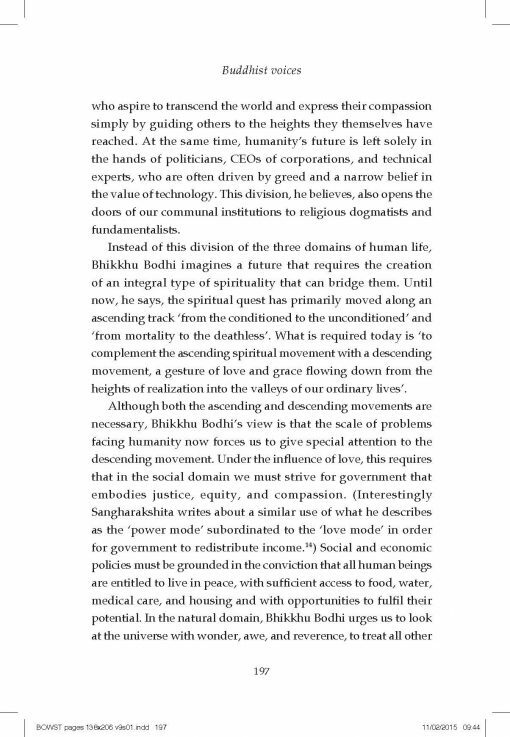 Can Buddhism help us build something better than our current economic system, to reduce suffering and help the individual to freedom? 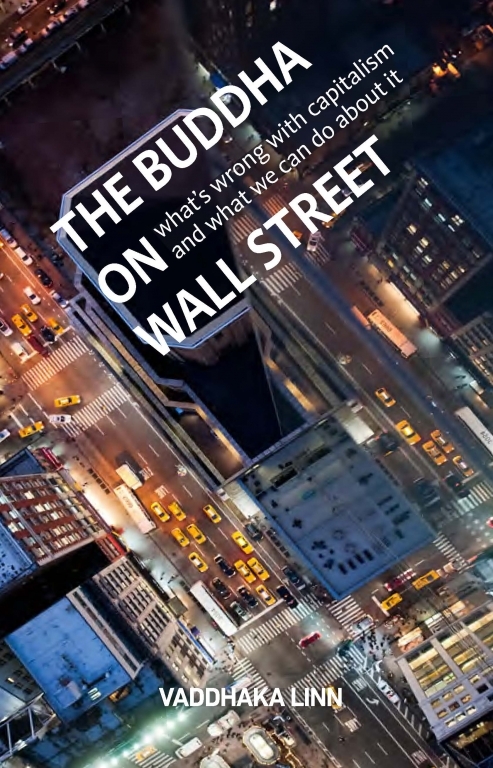 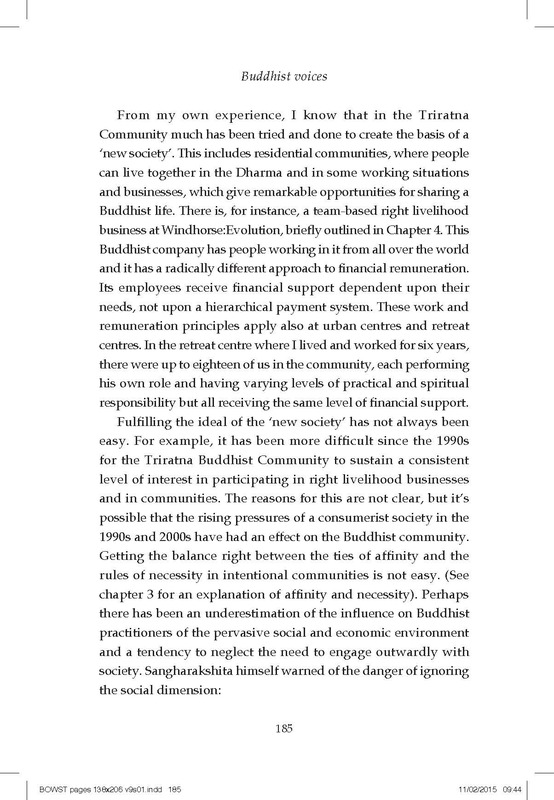 In this thought-provoking work, Vaddhaka Linn explores answers to these questions by examining our economic world from the moral standpoint established by the Buddha. 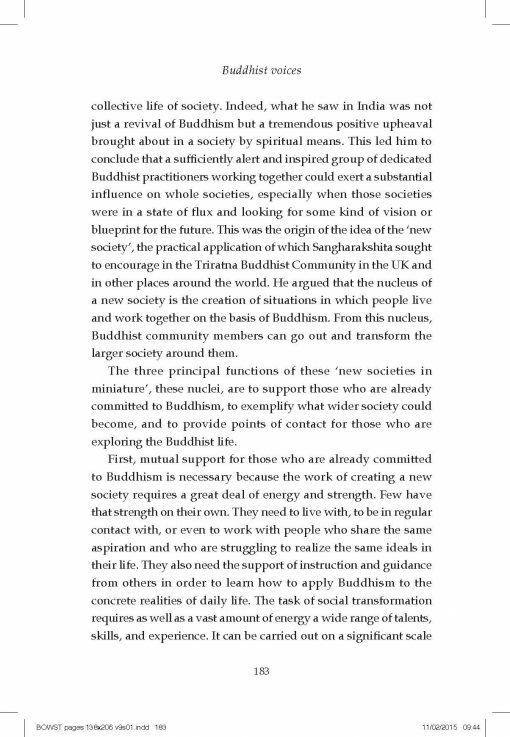 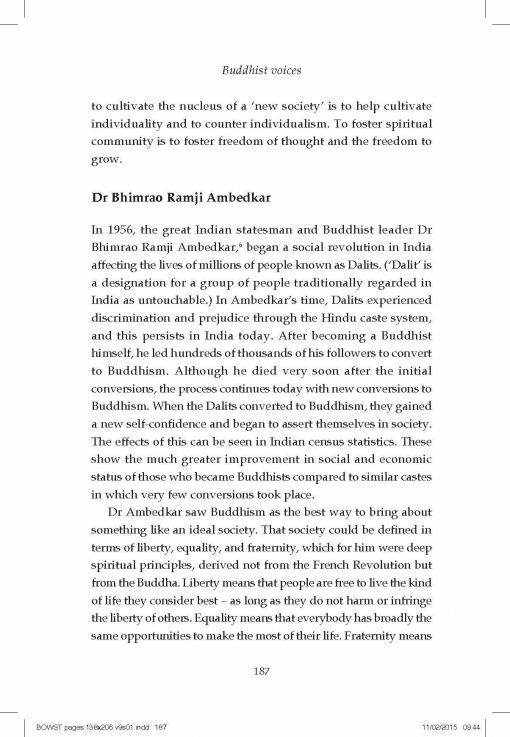 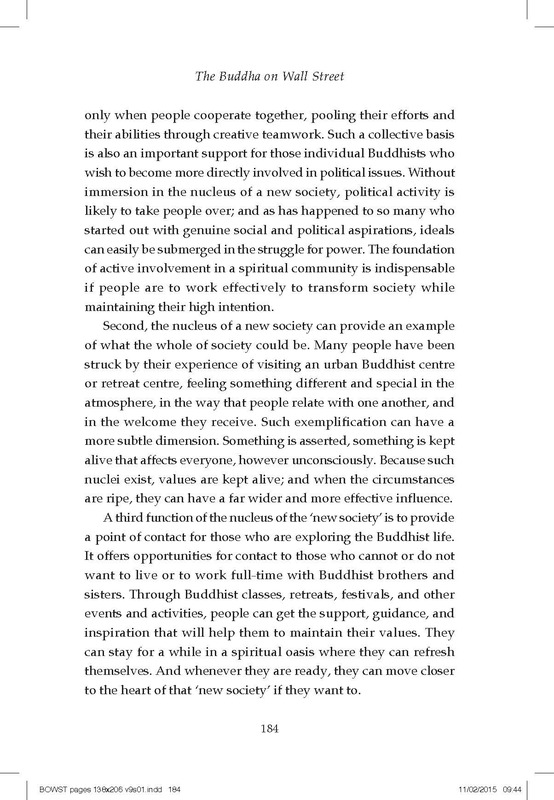 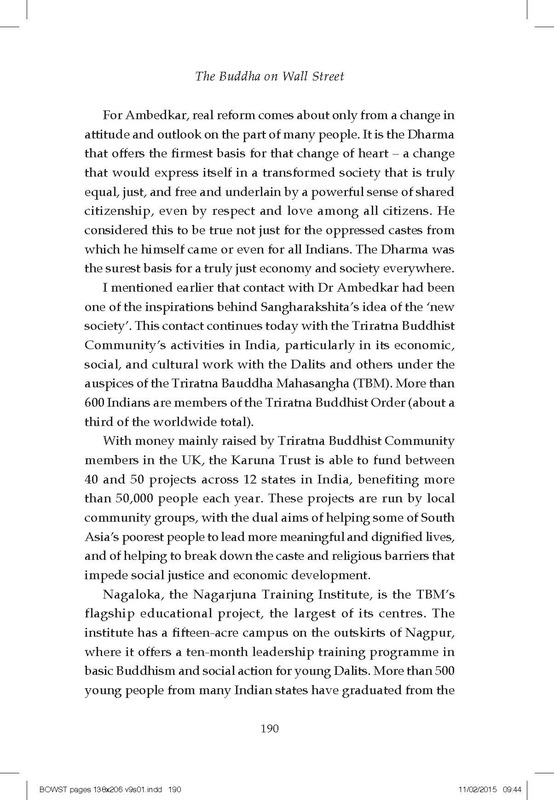 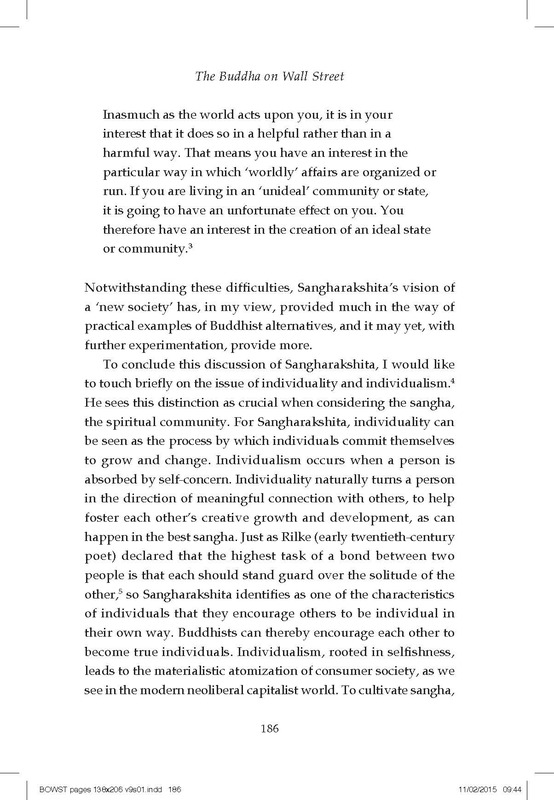 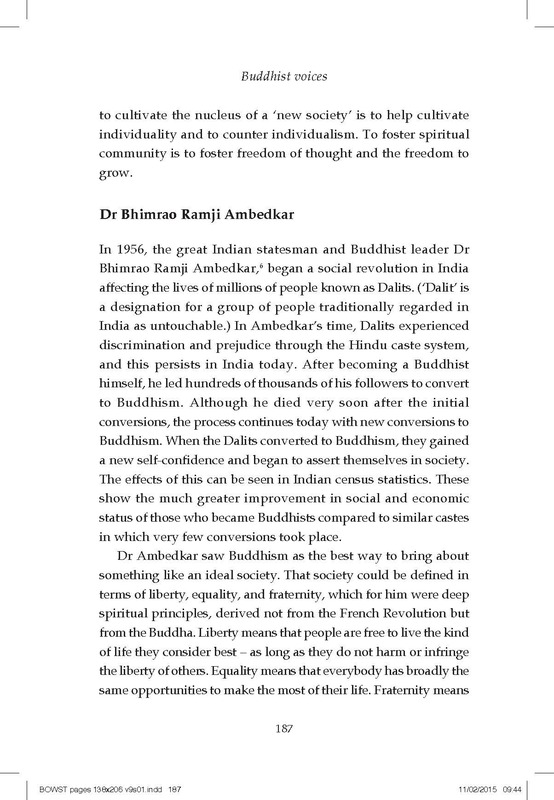 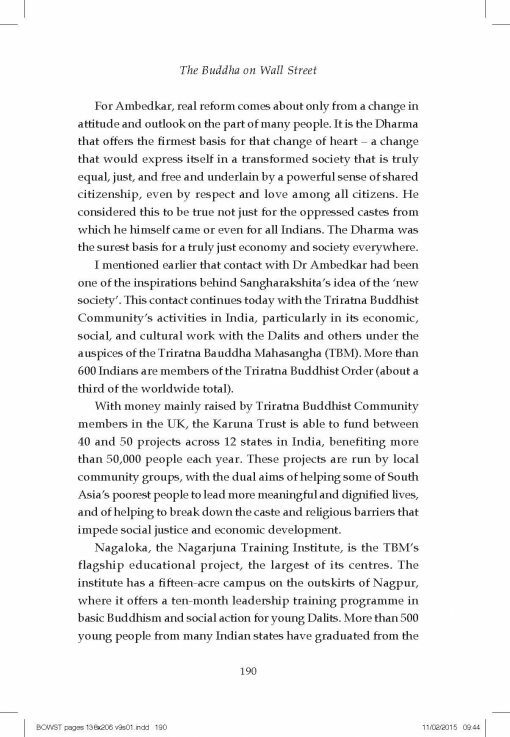 A clear, comprehensive and accessible overview of a socially engaged Buddhist approach. 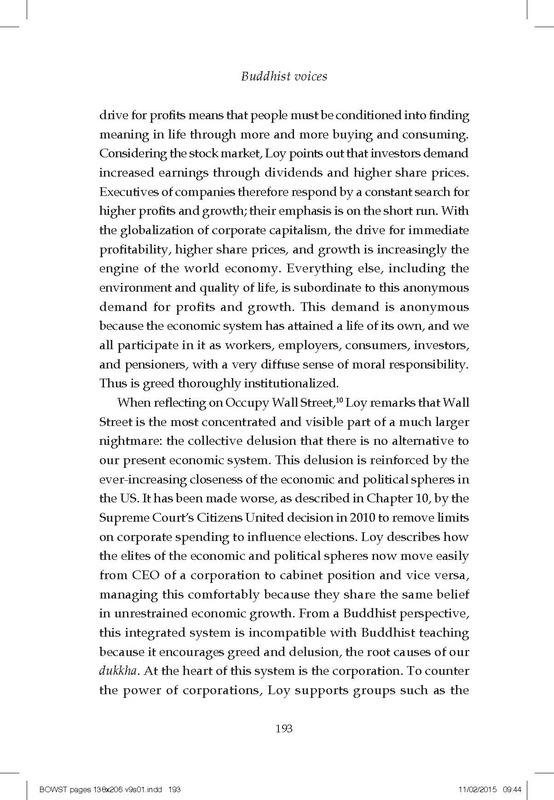 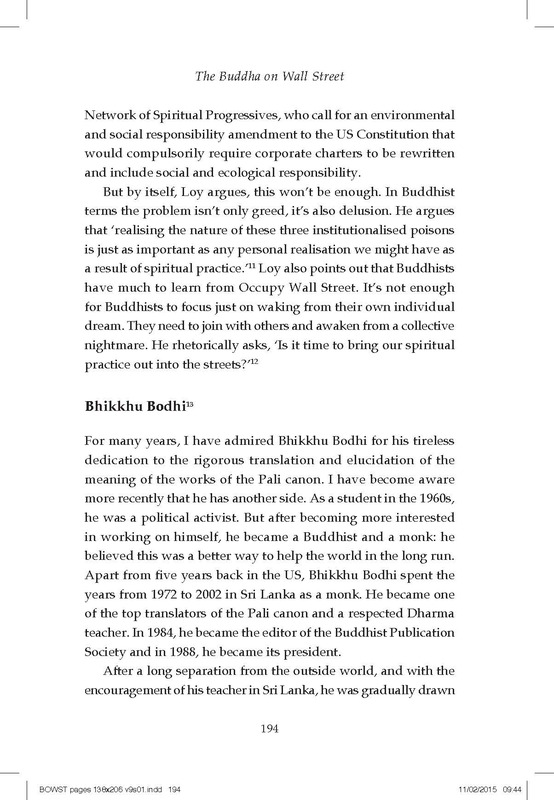 The Dalai Lama has said in public that he is “half-Marxist.” This book, “The Buddha on Wall Street” will help explain what he means. This is a fierce no-holds-barred Buddhist based critique of the dehumanizing and dysfunctional effects of the capitalist economic system. 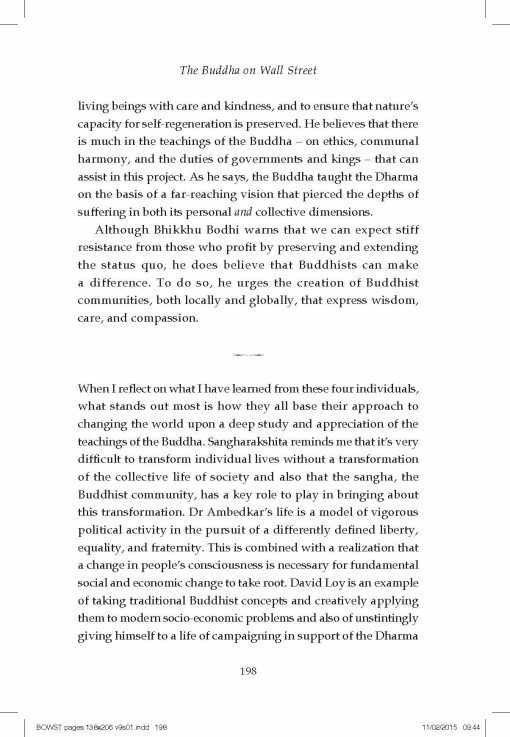 And as the subtitle says, “And what we can do about it.” Maybe the Dharma has arrived in the West just in time. Read this book and see what you think. 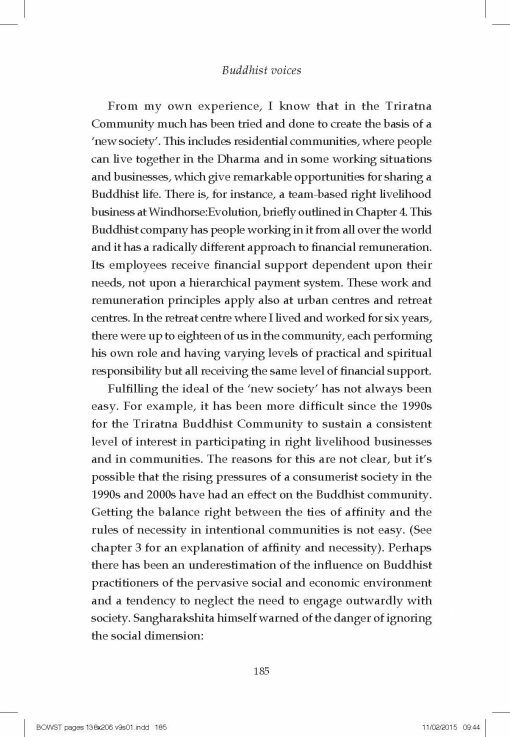 It would be strange to think that the Dharma, with its deep insight into dependent co-origination and the interdependence of all beings, could nonetheless give one the sense that Buddhist practice is primarily concerned with individual accomplishment or that it could remain neutral about and complicit with the ravages of global capitalism. 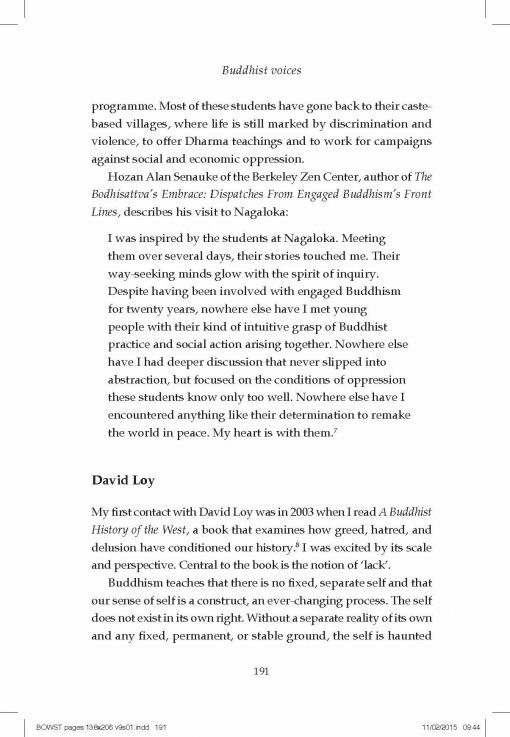 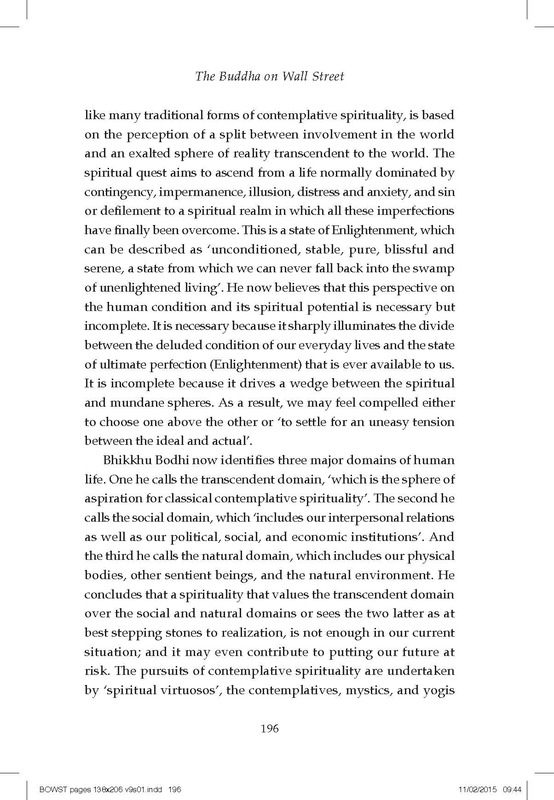 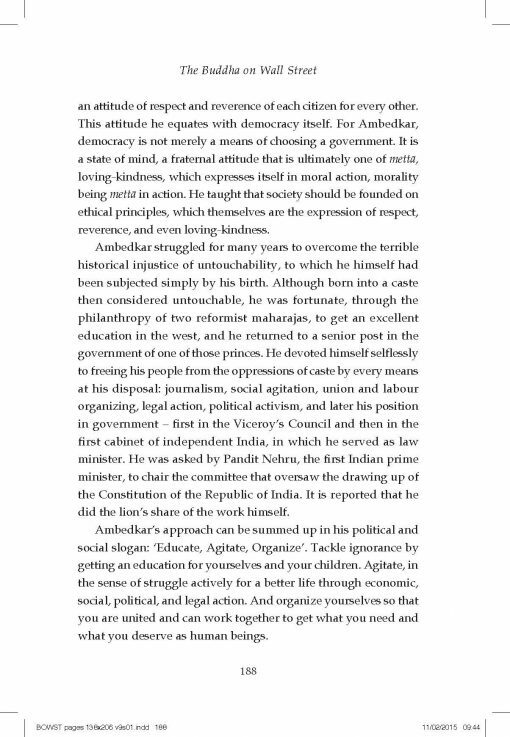 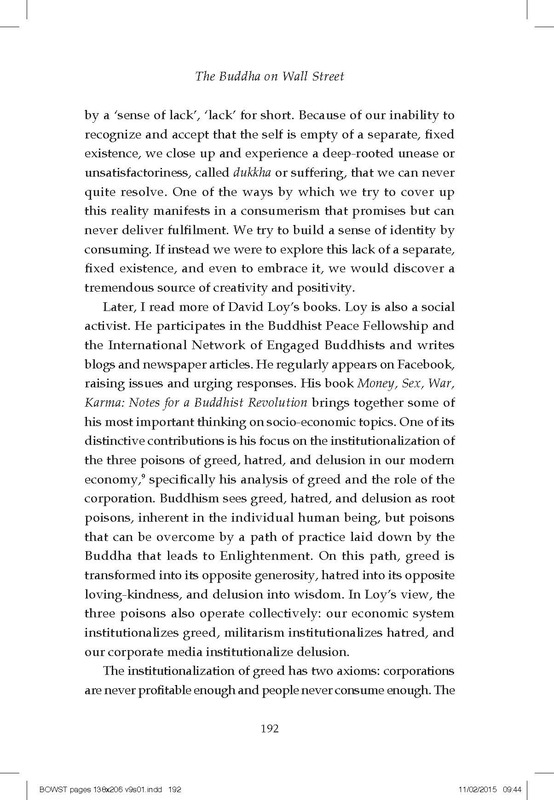 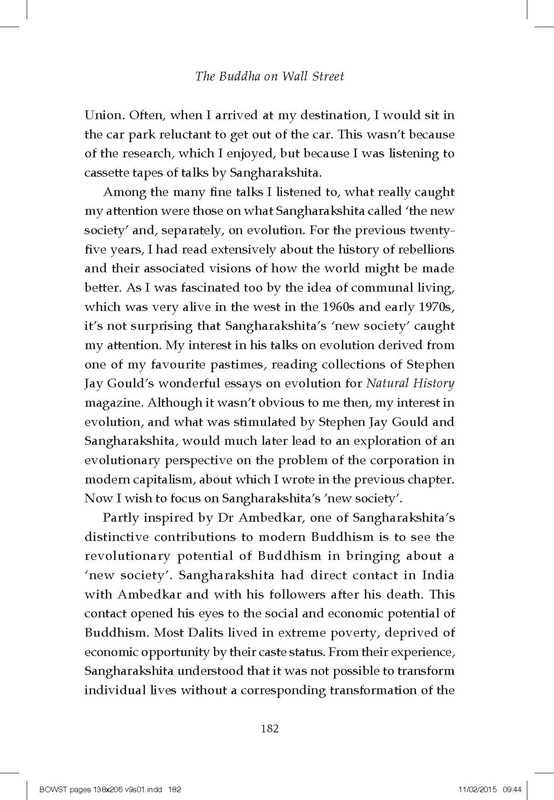 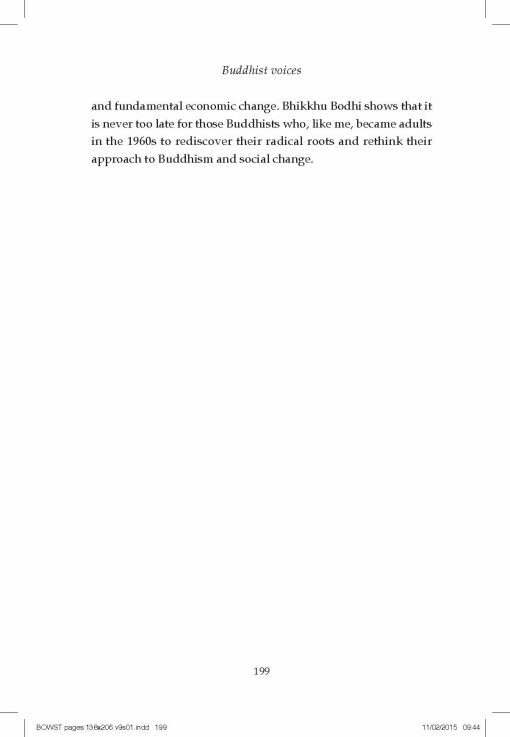 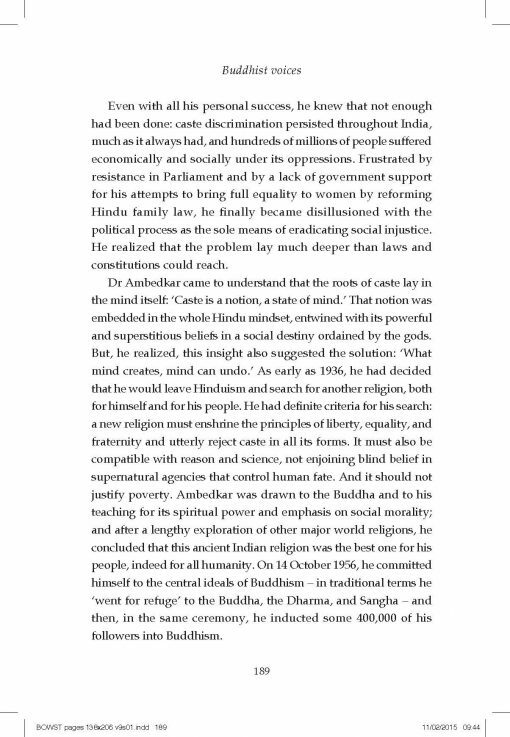 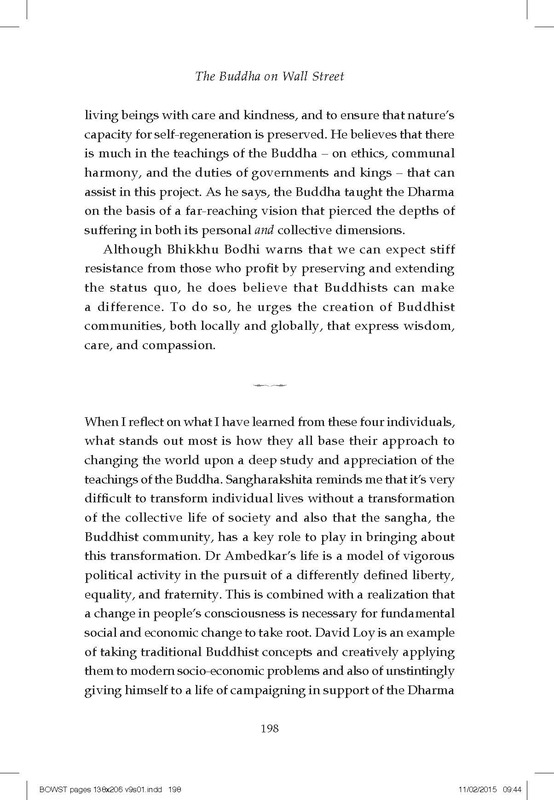 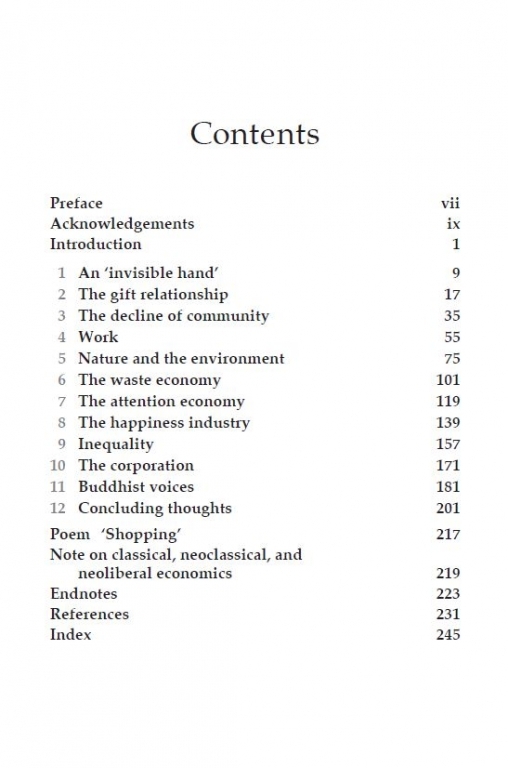 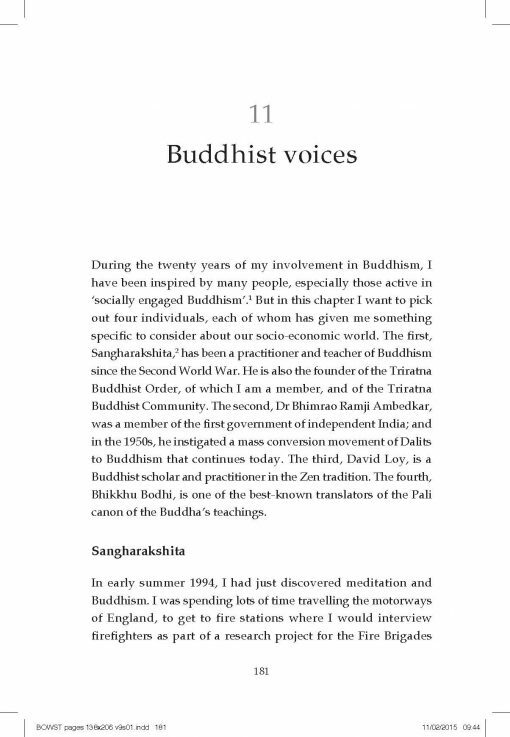 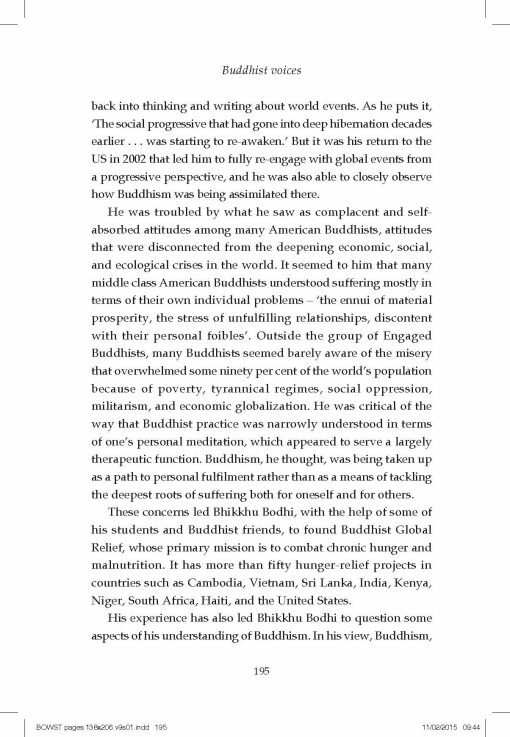 In his accessible and straightforward yet profound and consequential meditation on the Dharma in the age of climate change, rampant inequality, the aggression on personal time, the promotion of waste, the humiliation of labor, and unprecedented ecological devastation, Vaddhaka Linn has produced an important Buddhist critique of capitalism and opened new directions for practice. It is my hope that this book will accompany those who seek to deepen their appreciation of the Way during these critical times.